Dave Divine is the founder and Lead Pastor of The Church at Chapelhill in Douglasville, Georgia, on the West side of Atlanta. The church began in 2001 and currently runs attendance of approximately 3000 in four Worship Experiences, as well as the Bremen, Atlanta, Dunwoody, and Internet Campus, every weekend. This fast-growing church has a vision to see a spiritual transformation in the Atlanta Area and partners with other churches and volunteers in community ministry and outreach. It also has a Christian school, equipping students from infants through early elementary. Chapelhill exists to lead people into a growing relationship with Jesus Christ. 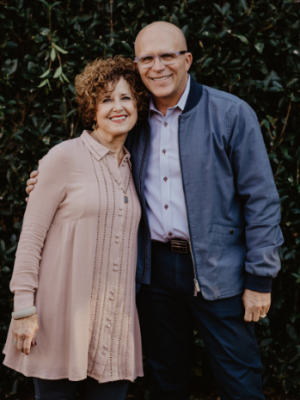 Dave and his wife, Cindy, are passionate about life, loving others and are firm believers that excellence honors God and inspires people. They have three grown children, all serving Christ and are also the proud grandparents of 12 grandchildren. Prior to moving to Georgia, Dave and his family spent years ministering in Indiana, Kansas and Alabama. He currently serves on the Executive Presbyter Board for the Georgia District Assemblies of God.